The Wichita Blues Society has been supporting the blues since 1983. If you have a gig or an event you’d like us to include, please send information to webmaster@wichitablues.org as far in advance as possible to ensure it gets posted before the event. NOTE: This is a “community calendar” and not all shows or events listed are sponsored by the Wichita Blues Society. 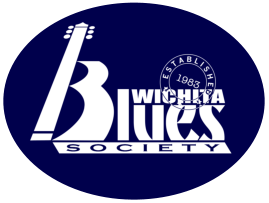 Become a member of the Wichita Blues Society community and help us Keep the Blues Alive! The Wichita Blues Society exists to share the Blues with the world by preservation, education and enjoyment of the first truly American music form.